Street – Display Google street mapping without satellite imaging. As mentioned in the previous table, clicking the “Geozones” button will open a side window as shown below. 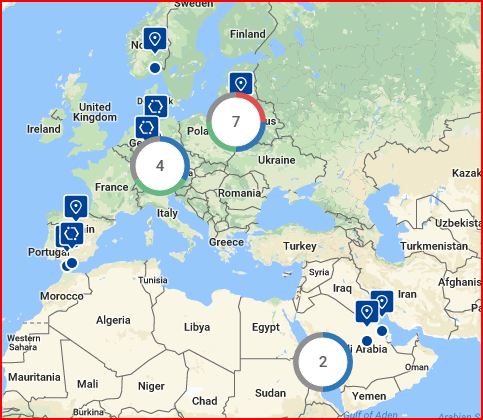 Here the user can select to show or hide any of the available Geozones on the map. Once selected, geozones will now be displayed on the map, regardless whether the geozones panel is open or not. Geozones are marked by blue markers, balloon shaped geozones are POI, while hexagons are polygonal geozones. 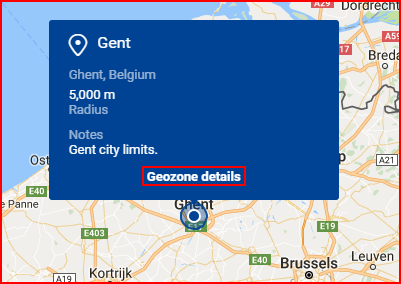 Clicking on “Geozone details” will open the Geozones panel with detailed information about the geozone. Right clicking on any point in the map will open a pop-up with the exact coordinates of that point. 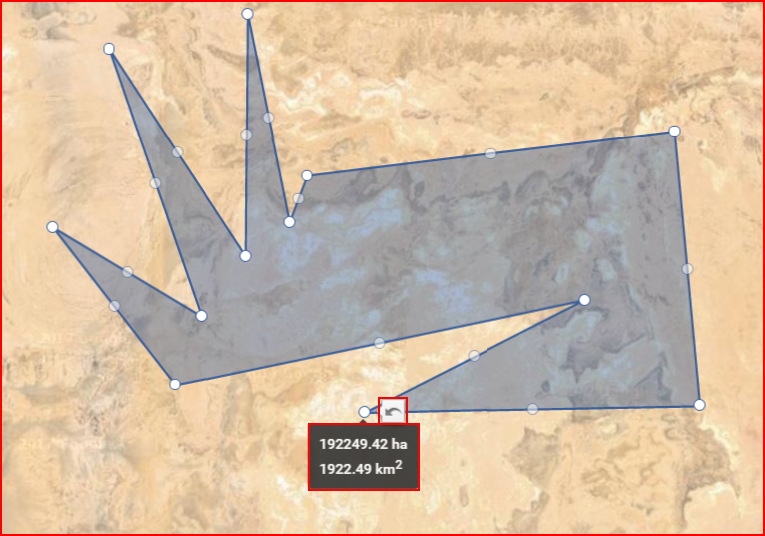 The user can copy the coordinates by clicking on them or add them to a route by clicking “Add point to route”.